It’s unbelievable how much health benefits we can collect from the wild. And, Nettles are the best examples. If you have brushed up against an apparently safe plant, and felt a slight stinging or pain, it means it’s a nettle plant. They are the tonic herb of wild. Though, bear in mind that all the species of nettle plants do not sting. They look intimidating. But, once you start comprehending their health benefits, you adore them. They are an exceptional source of protein. These plants also contain Vitamins A, B, and C, as well as calcium, magnesium, potassium, and zinc. One can find them in abandoned farmsteads and country roads. Nettle is also recognized as ‘Urtica Dioica’, ‘Common Nettle’, and ‘Stinging Nettle’. It is indigenous in Europe, Asia, Northern Africa, and Western North America. If you have felt the fury wrath and sting of it, do not worry about it. It is not born to sting you. Contrary to popular opinion, there is a lot more than its initial sting. It is a free gift of nature. Our ancestors knew how to identify this plant and use it for health benefits. If you are interested to learn more about Nettles health benefits too, you are in luck! We have 10 unusual facts about this fascinating plant that can astonish you. When it comes to detoxifying your body, nettles benefits outperform many of the so-called super-foods on the market. Numerous beneficial nutrients turn them into an ultimate detoxifier for the body. These nutrients help our kidneys in eliminating waste too. They have a gentle laxative effect that helps our body to get rid of accumulated waste in the blood too. First, they neutralize the toxins, and then make sure that they are eliminated. In case you are struggling with urinary tract infections and kidney stones, you can use this herb. Especially for kidney stones, it is a blessing. It stimulates the lymphatic system, which aids our body to eradicate excess toxins. 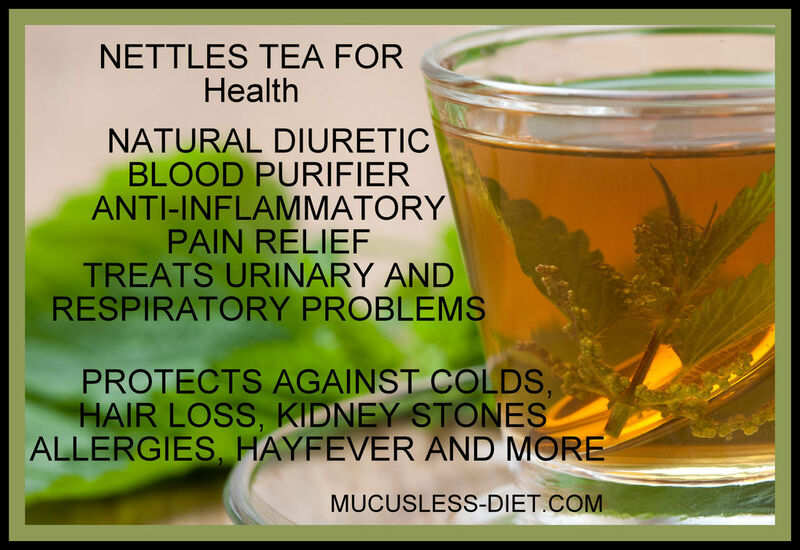 Some patients claim that nettles extract has been able to get them off kidney dialysis. Before you start relying on them for kidney stones, remember that they are diuretic. Therefore, expect to pee more if you consume them on a regular basis. Nettles have an anti-inflammatory effect. They have prostaglandins, natural compounds with powerful anti-inflammatory, that are efficient in lessening pain associated with arthritis, rheumatism, hemorrhoids, and kidney inflammation. German and Turkish scientists have studied the nettles properties too. They discovered nettles are specifically effective for gout symptoms. The levels of potassium, magnesium, and calcium aid gout symptoms on massive scale. Furthermore, Nettle has a stimulant and rubefacient substance. This substance helps in curing muscle pain. It soothes the pain right away. Apply nettle leaf at the site of pain. It will lessen the intensity of pain in a few minutes. It doesn’t matter whether you are applying for joint pain, muscle pain, or arthritis. its effective for all these pains. This is not only one study. Thousands of scientific studies confirm its anti-inflammatory properties. A German study revealed that ‘Hox Alpha’ of nettles contains an anti-inflammatory substance. It suppresses several cytokines in inflammatory joint diseases and relieves the pain. Benign Prostate Hyperplasia (BPH) causes problems for many men. Studies have shown 50% of men experience benign enlargement of the prostate. It usually hits elderly men. Luckily, scientists have proven that nettle help men with BPH. It reduces prostate size as well as the symptoms of enlarged prostate. Its exceptional properties also help in chronic prostatitis and chronic pelvic pain syndrome (CP/CPPS). Especially, the nettle roots contain the essential bioactive phytochemicals. These phytochemicals are in charge for alleviating the symptoms of BPH. Its root has a different set of pharmacological properties. And, this makes nettles more valuable. In a study, 81 percent of the men who took nettle supplements had their symptoms improved. When the nettle root extract was compared with the standard drugs, it appeared more effective, with almost no side effects. You can buy nettle extract for curing BPH symptoms too. It is available as a single ingredient herb. But, you can combine it with other natural therapies as well (turmeric, quercetin, and saw palmetto). If you are a little apprehensive about using nettles for your skin, let me assure you, it is a great beauty herb. There are wonderful skincare properties that can surprise you. Nettles are packed with full of skincare properties. And, they don’t sting! Different sources have proven that nettle is rich in vitamins A, B, C, D, and K. These vitamins are amazing for achieving even-toned skin. Other than that, it is also high in phenol. Phenol gives nettle powerful antioxidant properties. It keeps the free radicals under control when used in skincare. If you’re coping with environmental stresses, wrinkles, and fine lines, you can rely on it. Since, phenol treats them and provides anti aging benefits to your skin. Women in different cultures use nettle leaves in their anti aging serum too in order to look young and beautiful. They use nettle tea as well which lessens annoying pimples and reduce the dark spots too. In case you have sensitive skin, don’t worry. Since, almost all the ingredients of nettle restore a calmer, healthy feeling. In addition, the vitamin C and D of nettles also play an important role. They keep your skin fresh and glowing. Just give this herb 30 days sincerely, and you will burn your skin-related worries away. We guarantee! If nettle is not around your home, try a local tea shop first. They usually have nettle leaves for their customers. If it doesn’t help, internet stores are your best friends. Nettle is potent. It is much underestimated ingredient of the wild food chain. Its nutritional value can transcend your expectations. If we say, it is a legend among wild plants, it would be utterly right. It makes a significant addition to your herb garden. Just plant them in a place where they will be freed to reseed themselves. Though, they are an early spring herb, but you can harvest your own seeds in the late summer and fall too. Don’t forget to wear gloves while harvesting them, as the tiny hairs of nettles create short-term irritating effect.